Hōkyō-ji, known as “the Doll Temple”, is a nunnery that traditionally had imperial princesses serve as their head priestesses. 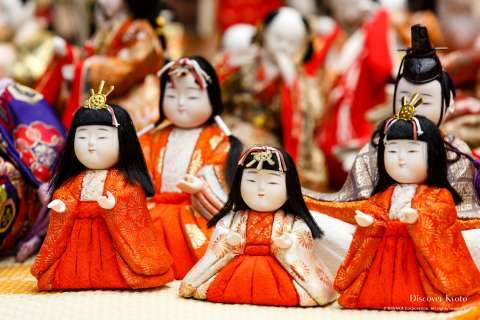 Those princesses who moved to the more austere lifestyle in the nunnery were often sent dolls by their emperor fathers to commemorate the changing of the seasons or celebrate certain events, and Hōkyō-ji still has many of these dolls delicately preserved to this day. Usually only open to the public twice a year in the fall and spring, coinciding with doll exhibitions, the temple also holds a special Doll Memorial Service that those who wish to pay their respects can attend and take part in. In Japan there is a belief in a certain kind of spirit called a tsukumogami. These creatures, some say a class of yōkai, were believed to form when an item had reached one hundred years of age. 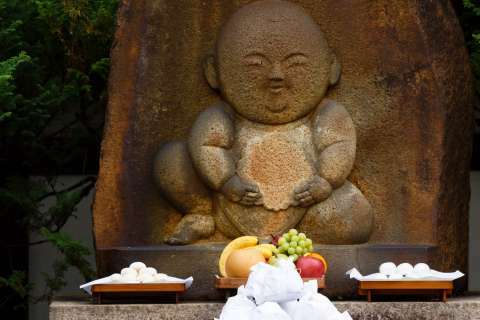 Human-shaped items were believed to be specifically susceptible to becoming tsukumogami, and there were also people who believed that such items had something of a "soul". 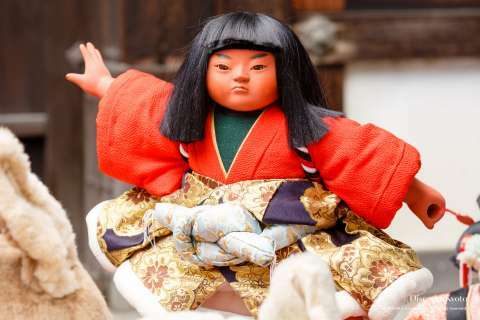 With that in mind, and with support from the Kyoto Doll Commerce & Industry Cooperative, Hōkyō-ji holds its Ningyō Kuyō in order to soothe the spirits of the dolls that are no longer needed or have become weathered and worn. By disposing of them, not in the trash like garbage but in a proper ritual, people feel as if they are giving the dolls a more decent send-off as thanks for all the years they spent with them. The ceremony is held on October 14th from 10:30 am, when the nuns of the temple assemble in front of the Doll Burial Mound on the property where the ashes of the previous years' dolls are entombed. A woman dressed as a tayū also makes an appearance to preside over the festivities along with two women dressed as Imperial princesses would have in centuries past. 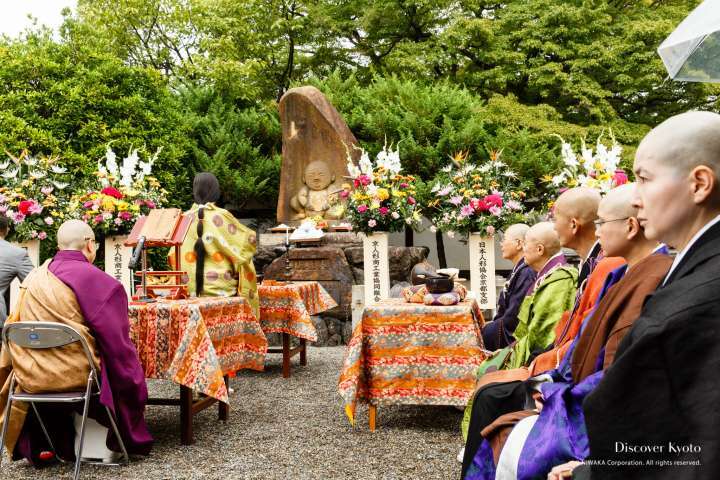 The women in the roles of tayū and noblewomen present prayers, incense, and flowers before the burial mound before the nuns begin the Buddhist service. The ceremony finishes with a tayū-style song and dance performance, leaving everyone with a feeling that the dolls will be respectfully seen to. 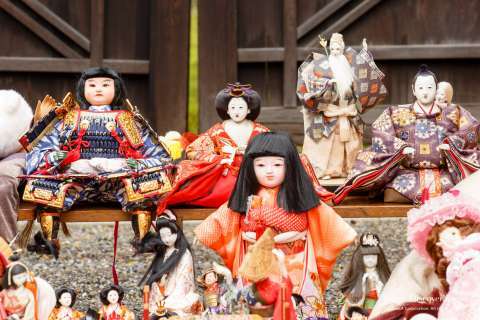 If you have a doll that has served you well in the past and you think it would be a shame just to throw it away, look into a memorial service in Kyoto!